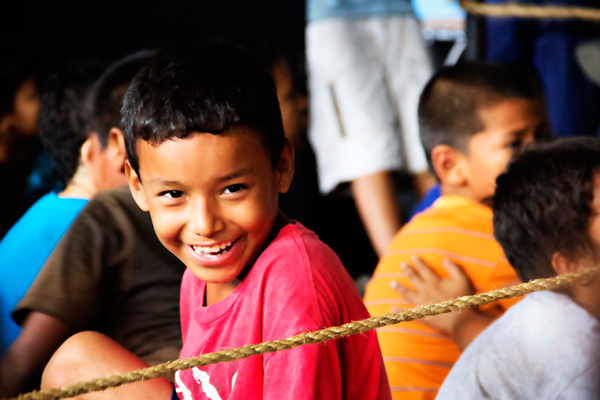 Our Saturday morning kids’ outreach program is called Niños de Vida, which means Children of Life in Spanish. Since starting the program in 2009, we have spent the past several years watching the kids in our Niños de Vida program grow – and now include kids from several inner city Managua neighborhoods, as well as Nicaraguan youth and adults who have taken the opportunity to work with us in leadership. 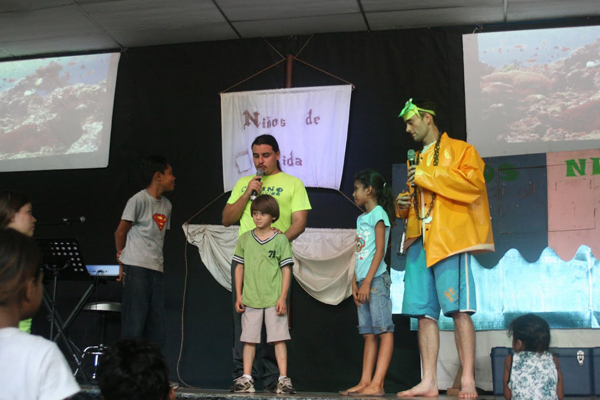 Our kid's outreach mission is to connect kids to Christ, providing them opportunities to encounter Jesus personally and grow in a fruitful relationship with Him. We love to play with the kids and provide an open playtime as well as a structured time of music and a fun lesson. Kids also get the chance to earn play-money to spend at our 'store' when they bring their bible, memorize Bible verses, and participate in our activities! Because there is no school on Saturdays, many children spend time playing at home alone while their parents are at work. Our Saturday morning kids services provide a safe and monitored environment where we know they are protected from at-risk situations. Our facility has enough space for kids to run and play! The kids love playing with jumping ropes, balls, and nets as they run around and get their energy out in a safe way. Our worship music program is a great opportunity for kids in our program to show leadership while they worship God! Leaders in training get the chance to play instruments, sing, and lead actions on stage. 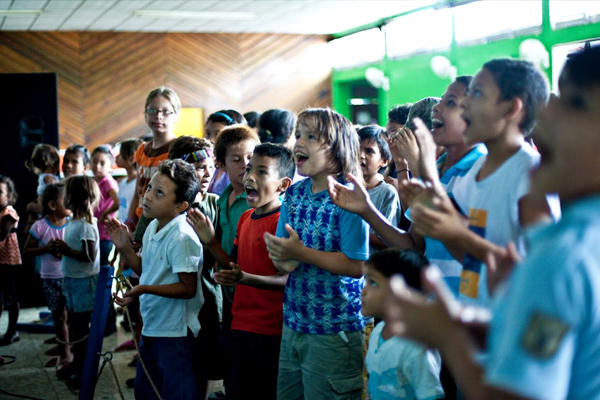 Kids love dancing and singing to God as they worship with live music! We use our lesson time to reinforce scripture and teach practical lessons about how to live a life in relationship with Jesus. Using puppets, characters and games, kids are constantly engaged and interacting with lessons and stories they can apply to everyday life. There are costs associated with operating our Saturday morning Kid’s Service – we provide kids with a great building to play in, on-site security, a “store” for them to learn financial saving and spending skills, and staff on hand to make their experience great as they grow in the love of God. You can partner with us by making a contribution to support the operating costs of One by One so we can keep making Saturdays fun!